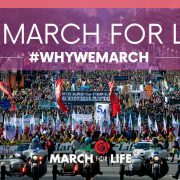 Save the Date … the Fr. Jon O’Brien Council of the Knights of Columbus will be sponsoring its second annual “Family & Knights at the Ball Park” at the Potomac Nationals baseball game on Saturday, June 22 at 6:30 PM. See 2019 Family & Knights at the Ball Park Flyer. Photo courtesy of Joe Cashwell/Haymarket Joe Photography. Over 160 parishioners and friends of St. Katharine Drexel Catholic Mission celebrated Mardi Gras in grand style at SKD’s 3rd annual Mardi Gras Ball, held March 2 at the Piedmont Club. 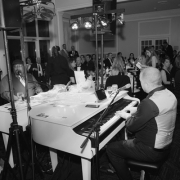 The theme was “Black & White” to coordinate with their evening’s entertainment, Blazin’ Keys Dueling Pianos. Piano players on two baby grand pianos played guests’ requests – unless another guest paid more for the players to stop the song or begin another one. By the end of the night, everyone was up from their seats, singing and dancing. 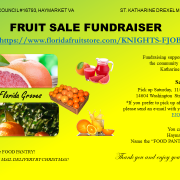 All proceeds from the evening, including the auction, raffles and tips to the pianists, were donated to the St. Katharine Drexel Building Fund. Photo courtesy of Joe Cashwell/Haymarket Joe Photography. This Lent, we invite you to share the journey of Norma, Annet, Christyan, Kumba and Ona by following the links to CRS Rice Bowl. With each link to their video journey, each will share their personal story of how CRS Rice Bowl has made a difference in their lives. We hope you and your family will share their journey week by week. 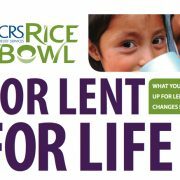 Visit CRS Rice Bowl Share the Journey to download the app available in English or Spanish. *STM/SKD Religious Education students will have received a CRS Rice Bowl from their teachers. Families who don’t have children in RE can pick up a Rice Bowl at Mass as long as they last. 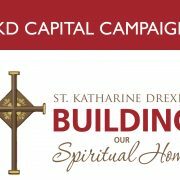 The parishioners of St. Katharine Drexel Mission are moving forward on our shared goal of building a permanent home for our Catholic Community. 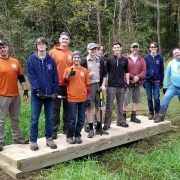 Please read our 2018 Annual Building Committee Update for important and exciting news! Find out details about our new church and take a look at the latest renderings. Together, let’s build our church! You can also place an order to the Haymarket Regional Food Pantry. Name the “FOOD PANTRY” and we will deliver it! 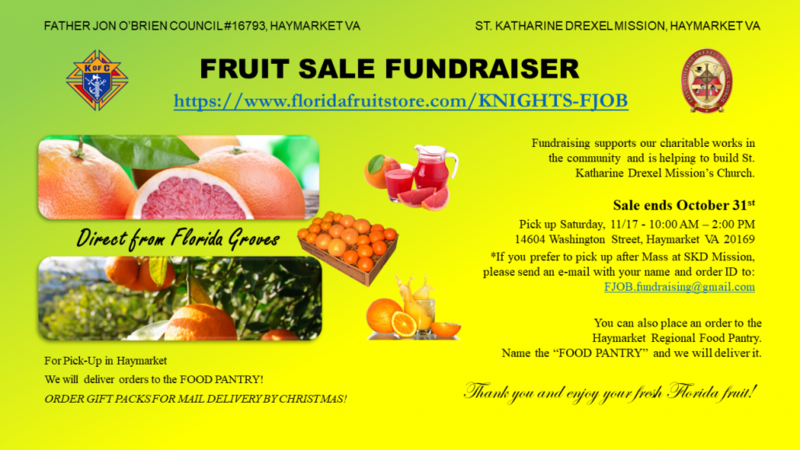 We will deliver orders to the FOOD PANTRY! 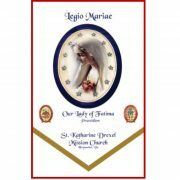 Order Gift Packs for mail delivery by Christmas!